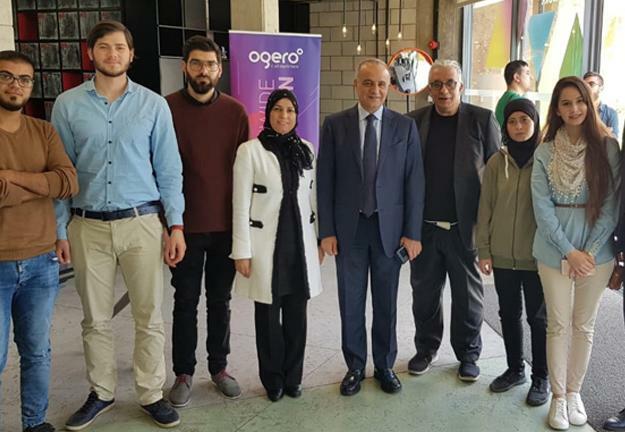 The Dean of the Faculty of Science, Dr. Joumana Younis, as well as students from Computer Science department participated in a conference under the title: “The Innovators Summit-2019, Smart Citizen, Fintech Al, and Digitization” which was held by the Entrepreneurs Ventures Network HOLDING on April 9th at Beirut Digital District. Dr Younis exposed the value of innovation through her presentation entitled “Innovation: From ideation to implementation- An anthropological roadmap”. The forum focused on the value of innovation to economic growth and several innovation topics such as virtual reality, augmented reality, and mixed reality. Its interest was on how to plan for startups and the innovation of entrepreneurs to both private and public sectors.